Club Soda not required!A great accent and conversation piece to add to any decor. 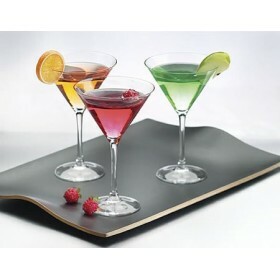 Use any of our..
Classic Martini - 7.5"H X 4.5" W .. Drinks in Acrylic Glass ..
Martini in 10 oz Glass (4.5" W X 7.5" H) ..
AF9699 Glass of Red Wine 6 3/4" HAF9516 Glass of Red Wine 7 3/4" HAF9513 Carafe of Red Wine ..